My outdoor growing area. - Page 2 - Orchid Board - Most Complete Orchid Forum on the web ! 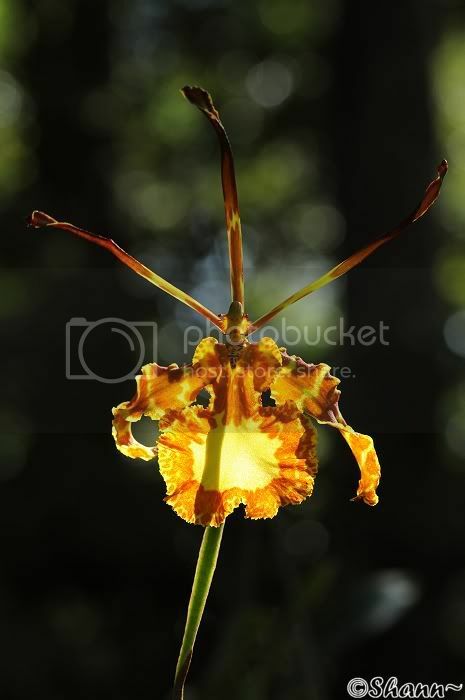 I was going through your pictures again today and wanted to compliment you on the psychopsis in particular. It's a beauty, they are one of my favorite orchids. That is the first one I have bought since I killed the only Psychopsis I had years ago. I loved the foliage on this one. 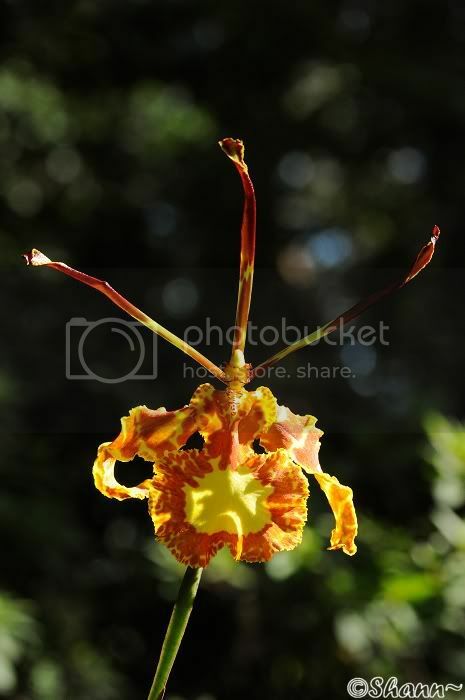 The name on it is Psychopsis papillio 'Mendenhall'. Right now it has 3 mature spikes and one more coming! Here are some close ups of the bloom. Thanks for the pics. Here some people grow as yours but because of heavy rain falls flowers drape down and do not last long .that is the disadvantage. But yours are great indeed. Yeah I have to be careful of rains here too. I use a very coarse potting mix to avoid root rot but if it rains too much on the blooms it can shorten their bloom time. I can always bring the blooming ones inside on the porch if the rains get really bad. Glad you enjoyed the pics. Hi there! Welcome to the MB. That's amazing!!! In the fourth picture what kind of plant is that on the left side of the [icture with the big leaves hanging down? There is a maxillaria in my collection that has a Bear's Claw (or Paw) Fern growing in the pot with it. Is that the leaves you are talking about? They have been growing together in that pot forever...it is kinda cute. Last edited by Shann; 09-25-2010 at 11:13 AM..
Shann, amazing place that you have!! I have 2 Psychopsis papillio but none gave me any flowers yet...any advice for them? Which media do you use? That is an impressive collection. I wonder how creative you had to get to get these indoors. I know this is an old post but was wondering if you had the dimensions of that 3 level table. I’m just about to build one and yours looks perfect. Basically need the heights of the three shelves off the ground and the dimensions of the shelves. ThAnk you. 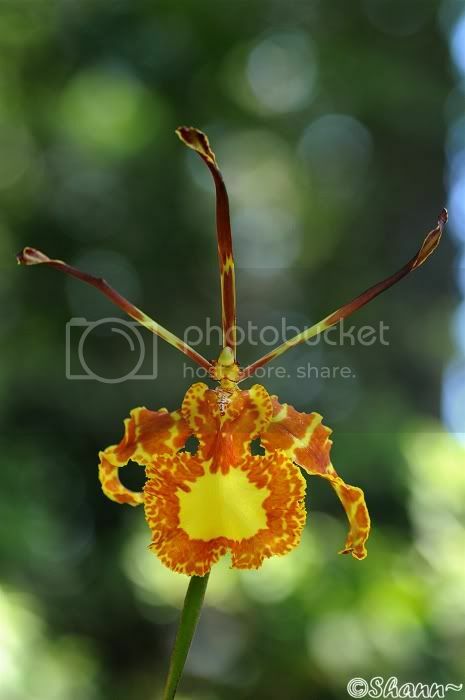 Orchid growers, just like gardeners and fishermen spend a lot time thinking about how to improve their hobby's environment, excellent work, beautiful plants and blooms... how has the area changed since this was originally posted? Suggestion: Add a copper strip around each leg of the tables (to prevent slugs from crawling up to the buffet).